There was no doubt that Margaret Rose found life particularly difficult after her husband ran off with a painted floozy. 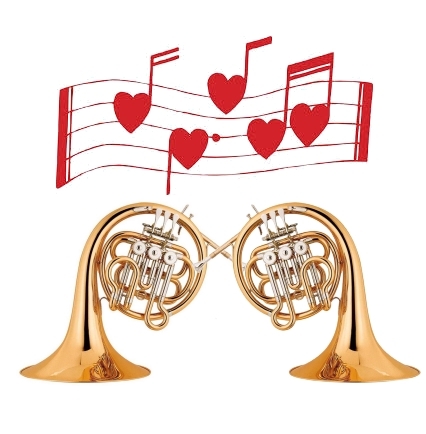 The husband was a French horn player in the local amateur orchestra, and had begun to cohabitate with Charlotte, the orchestra’s other French horn player. It was not before time that it happened; the French horns had been practising together for years. Margaret Rose referred to Charlotte as “the strumpet who blows the trumpet”. Margaret Rose played the harmonica, and was dumped in favour of the more sophisticated instrumentalist. The difficulty wasn’t simply a question of money. Margaret Rose could get by. It was the size of the house that was too much. It was gigantic, and she flopped around in it all alone, wondering why she really needed to heat seven bedrooms. Then there was the business of not quite knowing how best to fill in the time. Frankly, Margaret Rose was bored. There’s really only so much knitting one can do, especially if one has no one to knit for. There was the huge garden, but what was the use of that when there were so few people to admire it? Television? A bit each evening was enough. She took in two foreign exchange students from Bolivia. Expense! My goodness! She didn’t realize how much young people cost. She was glad of their company, but was pleased when the exchange was over, money-wise. What she needed was an all-consuming interest, or an all-consuming job. She found it! She was employed by a multi-national company and travelled the world on a huge salary. She so loved her job that she continued to work even after she won the lottery. The ex-husband was furious. Then the ex-husband’s French horn accomplice abandoned him. Margaret Rose never looked back. The ex-husband never got a penny, although when he died Margaret Rose made a fairly hefty contribution towards the cremation costs.